DESCRIPTION • Simple and functional, just a single hook with good style. • Size: 2 3/8" diameter, 1 1/2" projection. • No mounting hardware necessary. 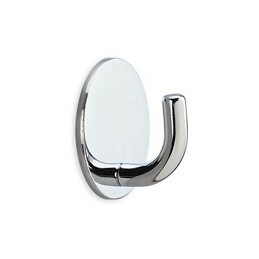 • Hook has a threaded screw welded to the back for easy installation. • Finishes: Polished Chrome, Matte Black and Glossy White.